NC Flag starts 12th season. 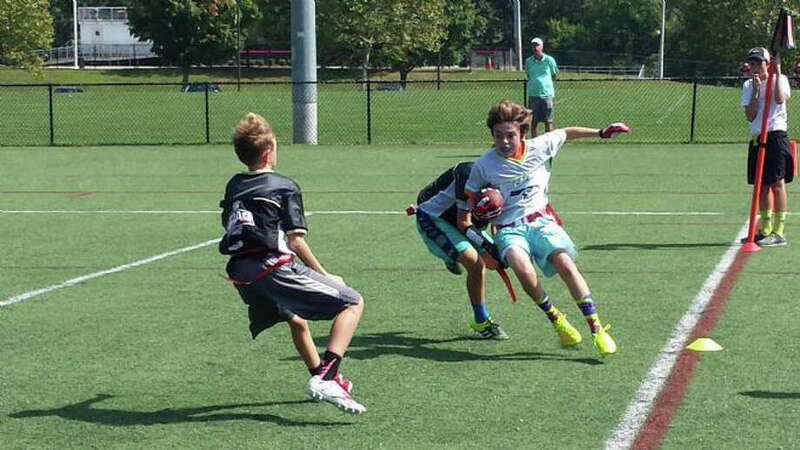 The New Canaan Flag Football League is open for registration for the 2016 season. There will be three divisions: 2-3 grade, 4-6 grades, and 7-9-grade division. The opening of the ninth grade division is new this year due to the amount of interest in continuing on in the league. Last year, 305 players participated in the NCFFL an all time high. With 30 teams and 60 coaches. This year the league is extending to 360 players. Additionally, the league is running a preseason camp from Aug. 15-19 at Waveny Park from 4:30 to 6 p.m. The camp is for players to improve their conditioning and skills, while also playing in practice games. The season will start in early September and continue until late November, playing on the Water Tower Turf field on Saturday mornings. The league works hand-in-hand with USA/NFL Football and is run by the New Canaan recreation department.